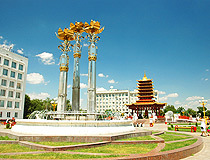 The capital city of Kalmykia republic. 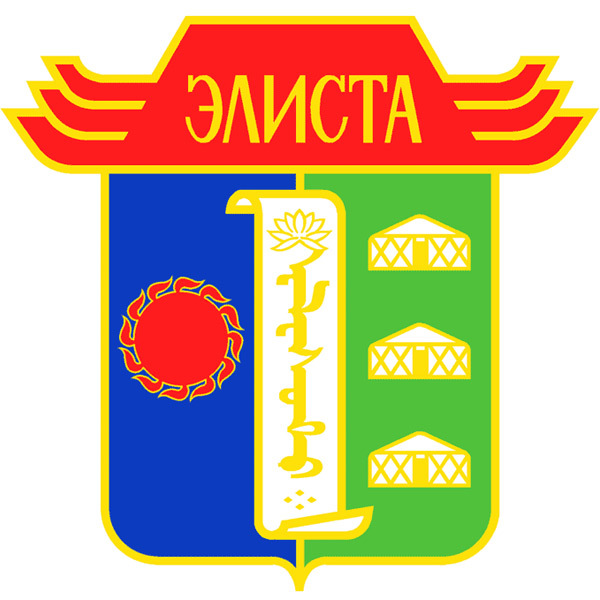 Elista (in Kalmyk “elst” means “sandy”) (Stepnoy in 1944-1957) is a city in the southern part of Russia, the capital of the Kalmykia Republic. It is located in the south-eastern Ergeney, in the very center of Kalmykian steppes, 1,250 km south-east of Moscow. 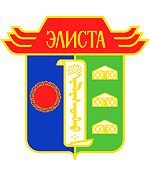 The population of Elista is about 104,400 (2015), the area - 92 sq. km. The phone code - +7 84722, the postal codes - 358000-358014. Local time in Elista city is April 18, 5:50 pm (+3 UTC). In 1845, the Russian Emperor Nicholas I issued a decree on the Kalmyk steppe afforestation. In 1853, the first planting of forests was made by the Forest Department in the south of Ergeney and in Elista hollow. More people were needed to increase the area of forest plantations, so the Forest Department requested the Ministry of State Property of the organization of a settlement in the area. Kalmyks called this place “Elst” (sandy) because the whole northern slope of the hollow consisted of loose sands. The name stuck, and the village that arose here received it. By the fall of 1865, there were 15 houses in the village. This year is considered the founding year of Elista. Elista cattle fair, the largest in the Kalmyk steppe, brought the village widespread fame. By 1907, Elista had buildings of an ulus administration, a boarding school, and a hospital. In February 1918, Soviet power was established here. November 4, 1920, a decree on the establishment of the Autonomous Region of the Kalmyk people was published. Temporarily authorities were placed in Astrakhan city. 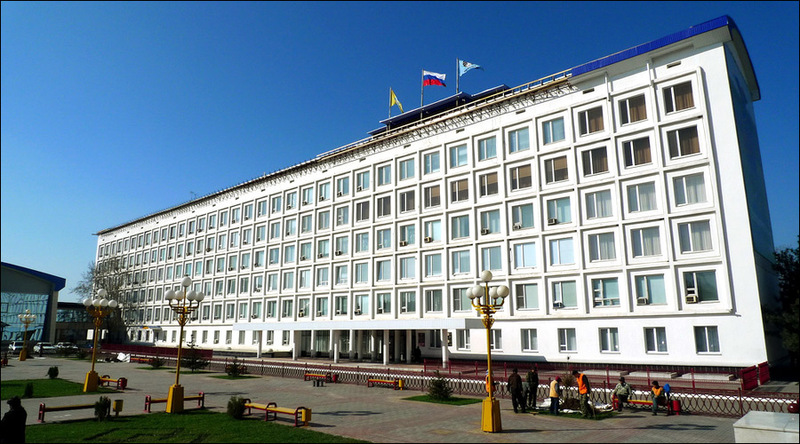 In 1925, the 5th Congress of Soviets of Kalmykia decided to move the center of the region to Elista. Construction of administrative, cultural, and residential buildings began in 1927. March 10, 1930, the village of Elista of Kalmyk Autonomous Region was transformed into the city. August 12, 1942, during the Second World War, Elista was occupied by the German troops. September 9, 1942, 600 Jews who lived in the city were shot. December 31, 1942, Elista was liberated by the Red Army. During the retreat, the German troops almost completely burned the city. December 28, 1943, the Kalmyk people among many other peoples of the Caucasus, were forcibly deported to Siberia, northern Kazakhstan and the Far East on charges of collaborating with the Germans. In the period from 1944 to 1957, the Kalmyk ASSR was abolished. Elista was renamed to Stepnoy (steppe) and became the center of Stepnovsky district. After the liquidation of the Kalmyk Autonomous Soviet Socialist Republic and the deportation of Kalmyks, the city was not rebuilt and lay in ruins. Active restoration began only in 1957, after debunking the cult of Stalin, the rehabilitation of the Kalmyks and the decision to restore the Kalmyk autonomy. November 6, 1969, the railway station was opened along with the factories of reinforced concrete structures, panel construction and silicate bricks. In 1970-1980, a number of cultural and educational institutions were opened. 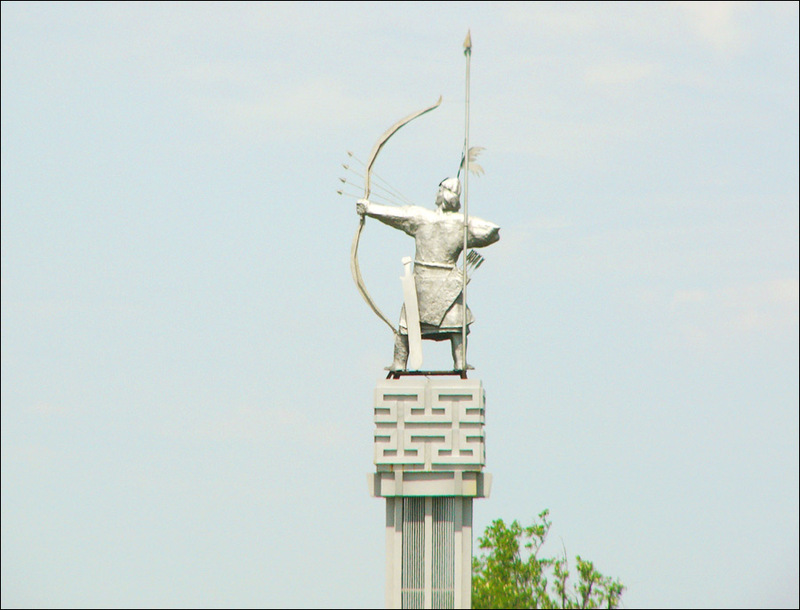 In 1990-2000, construction of monuments and buildings that reflect the cultural traditions of the Kalmyk people began. 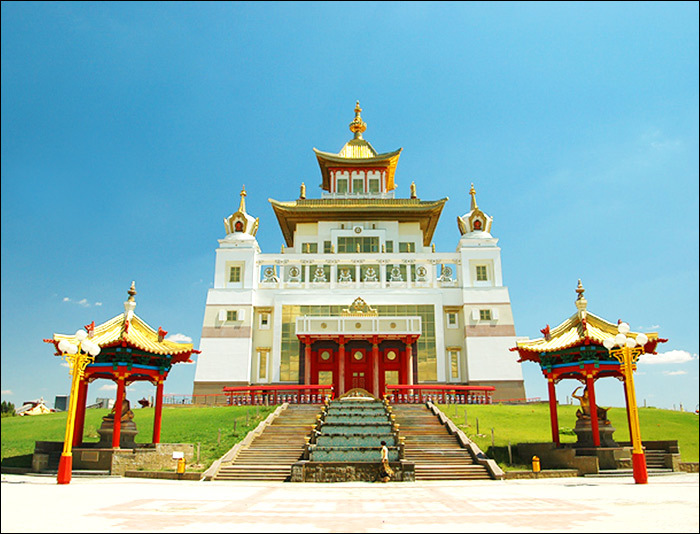 Elista became one of the Buddhist centers in Russia. In 1998, Elista held the 33th World Chess Olympiad. For the Olympiad, a special chess district - City Chess - was built. Today, it the place to hold republican, national and international competitions in chess, as well as business and cultural meetings. 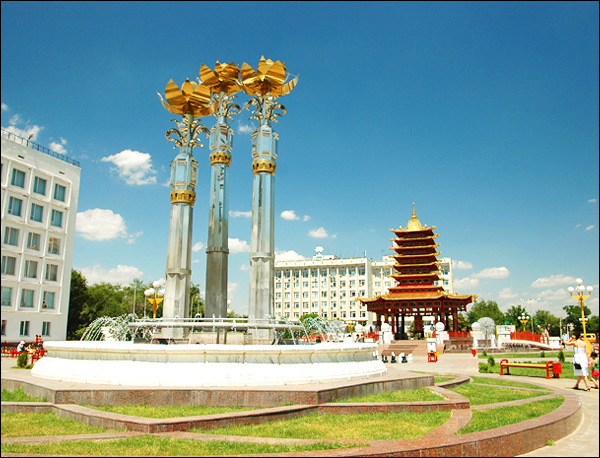 Today, Elista is a political, administrative, cultural and economic center of the Republic of Kalmykia. 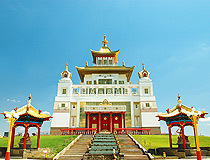 It is one of the Buddhist centers in Russia. The climate in the city is moderate, sharply continental and is characterized by low rainfall, dry air and high temperatures. Elista, after Astrakhan, is the second most arid administrative center of Russia. Winters are short, with little snow. The average January temperature is minus 5.9 degrees Celsius. Spring comes early, and, in May, the temperature usually doesn’t drop below plus 20 degrees C. The warm period lasts 240-275 days. Droughts are very frequent. The average July temperature is plus 24.4 degrees C.
Elista has an airport (flights to Moscow, Sochi), a bus terminal and a train station. Elista transportation consists mainly of mini buses. The largest square, Lenin Square, is located in the city center. There is a fountain “Three lotuses” and a chess board of 5x5 m size there. This place is popular among young people. 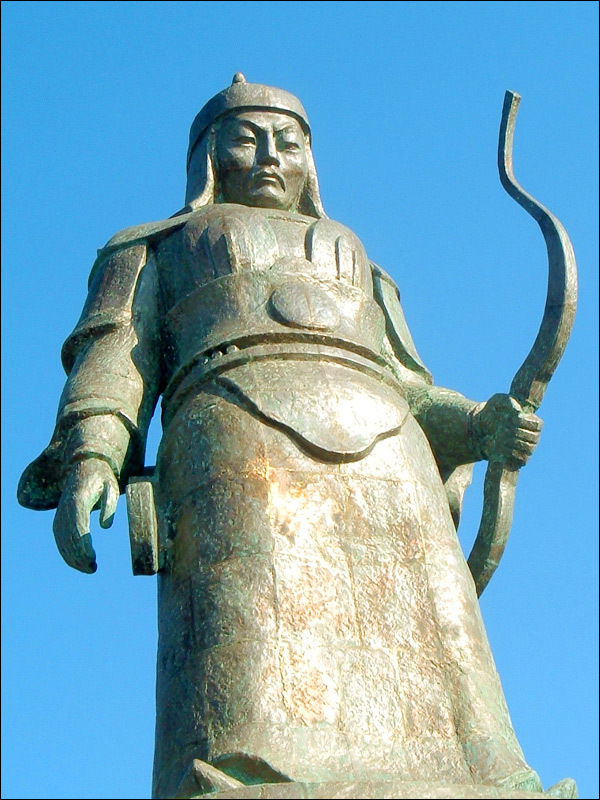 On a high hill in the southern part of the city, there is a memorial in honor of the soldiers who set the capital of Kalmykia free - the tank men of the 6th tank troop of the 28th Army. In 1965, in the park “Drouzhba” the memorial was erected in honor of Komsomol members and partisans, who perished during the Civil War and the World War II. 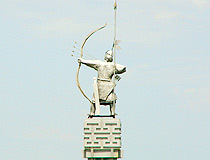 State Museum of Fine Arts of the Republic of Kalmykia (Dzhangar Street, 33). One of the main local sights is a meter and a half statue of Buddha-Shakyamuni, made of white Ural marble. The statue was erected on July, 6, 1995, on the 60th anniversary of Dalai Lama XIV. Today, the rotunda with the statue of Buddha became not only a special decoration of the city, but a cult place as well. Elista has a district called “Chess City.” In its center, there is a Palace of Chess, built to hold various chess competitions. Chess-City is a kind of embodiment of the idea of the project New Vasyuki from the novel “12 Chairs.” The avenue heading there is named after Ostap Bender - the protagonist of the novel. Elista drama theater, opened in 1936, is named after Baatr Basangov, its founder. 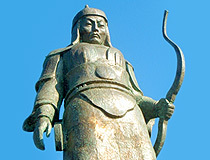 The theater plays an important role in the cultural life of Kalmykia Republic. 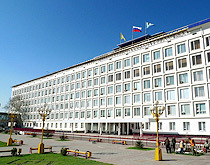 The city has a number of educational institutions: Kalmyk State University, Automobile College, Colleges of Medicine and Culinary, Arts School, classical and other gymnasiums, commercial and technical lyceums, 3 professional schools. 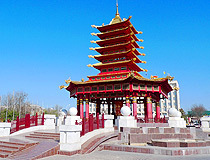 The first Buddhist chapel in Kalmykia, Syakyusyan-Syume, was opened on October, 5, 1996. It took 4 years to construct the chapel, the money for which was donated by the locals and Kirsan Ilyumzhinov, the President of Kalmykia. 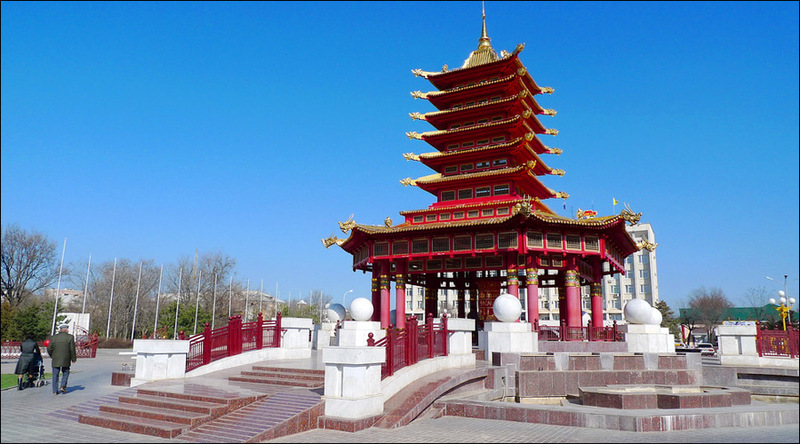 On December, 27, 2005, the biggest Buddhist chapel in Kalmykia Republic was sanctified - the New Central hurul (Golden Home of Buddha Shakyamuni). Inside, there is the tallest statue of Buddha in Europe. I was there February 2018, returning April 2018. I like the open, friendly people and the food. I am also moved by their history. I have been to this city I couple times. It was quite a surprise to see the Asian cultures traveling from Astrakahn to Krasnodar. Beautiful. I have had an opportunity to see several photos of your city. It is very beautiful. This is THE most beautiful city I have ever seen. I would undoubtedly move to that country, no second thought.